Hot on the heels of The Spice Trail, today I bring you news of a second blog event I am hosting here on Bangers & Mash this month. Family Foodies is the brain child of Lou at Eat Your Veg and I was thrilled when she invited me to co-host this recipe-sharing challenge with her. October was the inaugural month and the Weekend Slowies theme attracted a fantastic array of tempting recipes, providing lots of ideas for delicious family food to cook when you have a little more time to spend in the kitchen. Now it’s my turn to host the challenge and for November the theme is Lunchbox Ideas. Every parent and carer knows how easy it is to get stuck in a rut when it comes to thinking up tasty and appealing fillers for packed lunches. 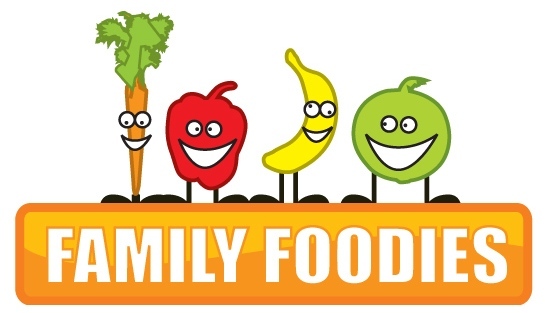 So come on fellow food bloggers – let’s get together and pool our ideas for easy, healthy ways to fill our children’s tummies, make sure they get their five-a-day, tickle and tantalize their taste buds, all while giving them a loving, foodie ‘hug from home’. Whether it’s suggestions for nutritious sandwich fillings or different types of homemade bread or wraps, new takes on salads or dips, or inspiring twists on muffins, flapjacks or other home-baked goodies – we want to know what your children love to eat in their lunchboxes and how to give them them the energy boost and brain power they need for the afternoon ahead. Oh, and there just might be a prize for the best lunchbox idea at the end of the month too! You may submit any recipe on your blog that fits this month’s theme, new or from the archive, and feel free to enter as many times as you wish. You’re also welcome to submit the post to other challenges too. If the recipe is not your own, please give the appropriate credit. Send your recipe URL to me at vanesther-at-reescommunications-dot-co-dot-uk, including your own email address and the title of your recipe or post. The closing date this month is Thursday 28 November 2013. You may enter from anywhere in the blogosphere, and we’ll happily post out any prizes. I’m really looking forward to seeing your entries! count me in..I was just writing up a recipe & it dawned on me that it fits the criteria! And it’s absolutely perfect – thanks Helen! Oooh I love it! My older children have been nagging for packed lunches for ages, and this term I’ve agreed. Budget cuts and whatnot mean the food they’ll be getting at school won’t be nearly as healthy as what I could send in a packed lunch. I’ve ordered Bento lunchboxes and they should arrive any day! I will definitely be entering this challenge! I’m so looking forward to taking part in this one….and equally as excited about seeing all the other no-doubt inspiring entries! Can be so easy (and boring) to get in a bit of a rut with lunchboxes so should prove a brilliant challenge! And thanks for sharing them, Karen. My children would still consider these a lunchbox treat!